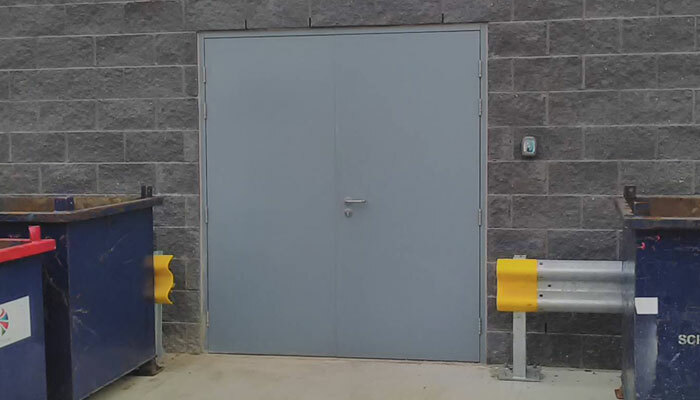 Steel doors provide hard-wearing safety and security in a variety of environments – from busy offices to industrial workplaces, to public spaces with a high frequency of traffic. 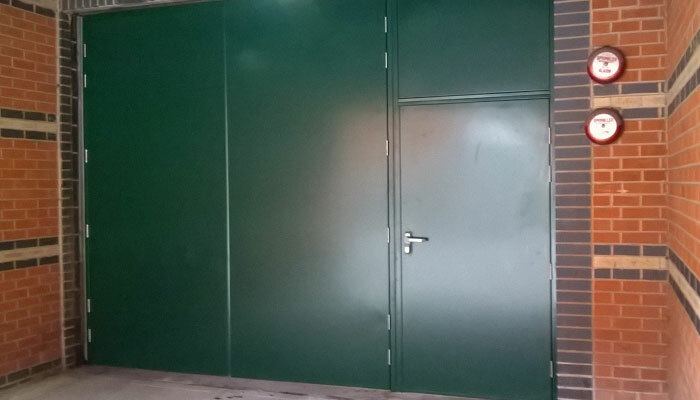 An effective barrier to theft and vandalism, and highly weather-resistant, steel doors are suitable for a huge range of applications. 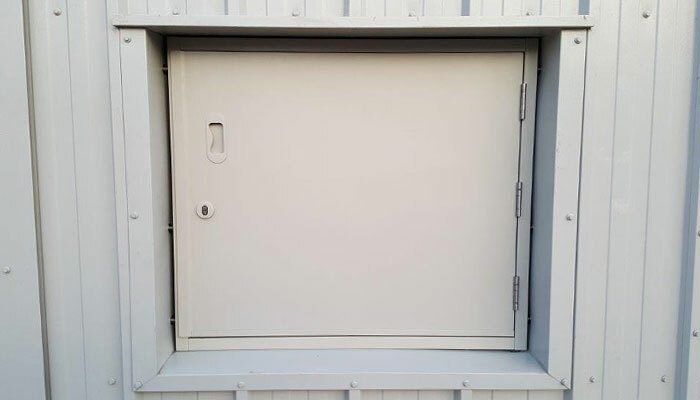 Our range features security doors with multiple locking mechanisms, fire-resistant doors with smoke seals, and doors designed to handle the most extreme conditions. 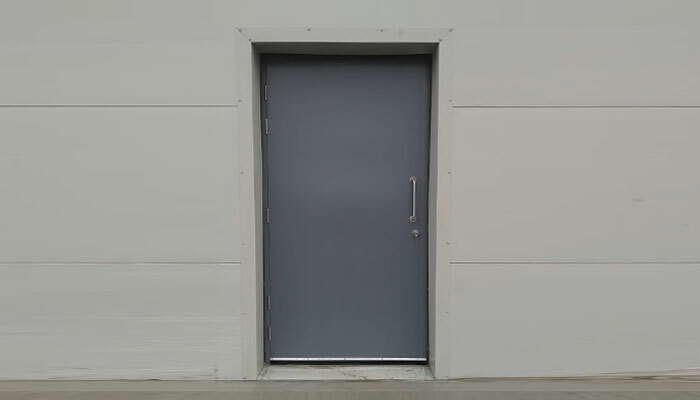 As specialist steel door manufacturers, all of our doors can be completely made to order, but we also provide a stock of ready-made steel doors available for same-day dispatch. From internal security doors to heavy-duty, insurance-approved steel doors with three, four and six-point locking systems. Our fire doors offer up to four hours of fire resistance, and can be finished in a wide range of colours. Built and finished to withstand extreme conditions in corrosive coastal locations, these doors are also ideal for swimming pools. 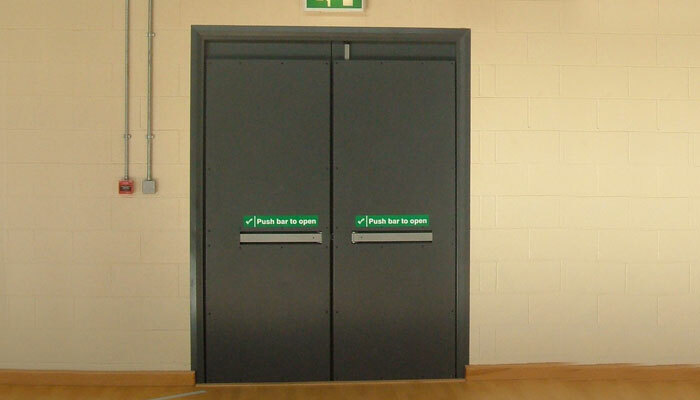 Designed in-house specifically for sports halls, these doors are ideal for schools and indoor courts. Need a door in a standard size in a hurry? We have ex-works, single and double steel doors ready to deliver. Fire doors are an essential part of any building. Easy exit from the inside, top-notch security from the outside. What are the benefits of steel doors? 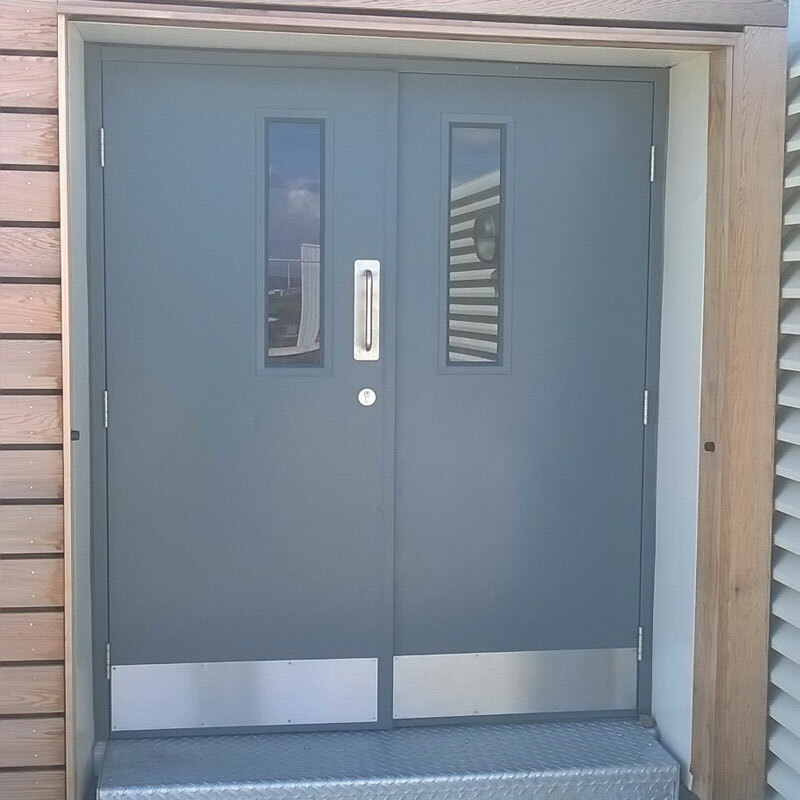 Sometimes you just need a door that’s more durable than a standard wooden door, that can handle a busy working environment or challenging conditions, and that provides extra security and safety – steel doors do the job in any situation. 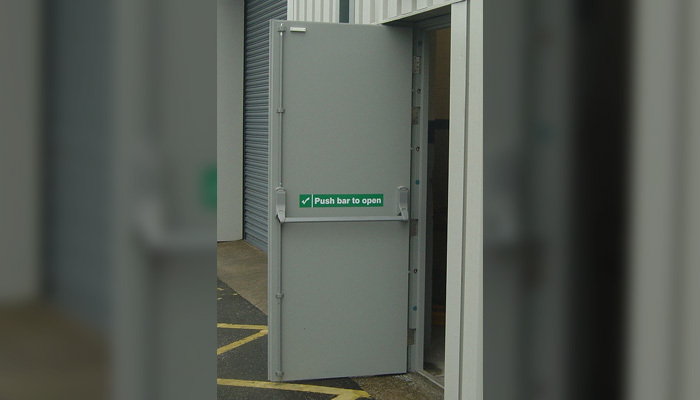 All of our steel doors come with anti-bump, anti-break and anti-pick locks, and are built with high quality components to the highest standard. They’re practical, secure, made to measure – and available in a huge range of colours too. View our full door range, including roller shutters and overhead doors, ideal for larger openings without sacrificing security. Any questions about our range of steel doors? Give our engineers a call and we’ll be happy to help!